The 2018 Masters is the first golfing major of the season, and as ever with this great event, interest is already very high. 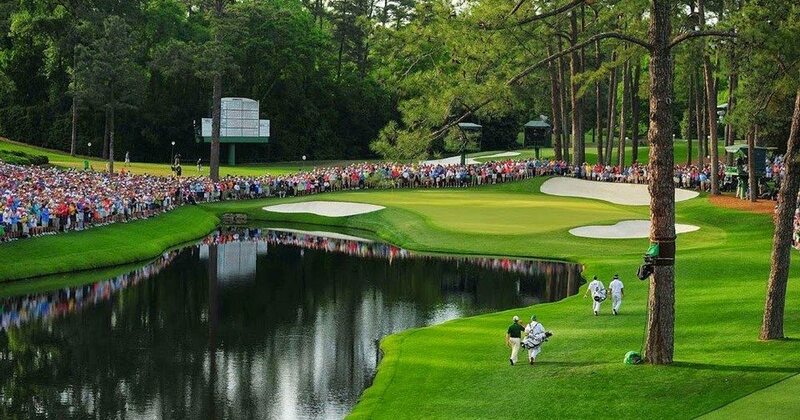 The best players in the world all head to Augusta National to take each other on in one of the most beautiful sporting amphitheatres, giving us four wonderful days of action. Many of the front-runners have been playing well in the lead up to this event, but this is where it all matters and players need to step up and deliver on the biggest stage of them all. The two biggest stories going into the Masters both focus on players having a recent resurgence. The first is Tiger Woods, who came back to life a few weeks ago, to give his fans hope that he may finally be getting back on track. He still has a lot to prove for me, but you can imagine the scenes if he is in contention coming down the back nine on Sunday, it will be special to watch, so let’s hope Tiger is involved. The second player on the comeback trail is Rory McIlroy, a player who is more likely to get involved this weekend for me. He has had a tough time of things both on and off the course over the past couple of years, but many of those distractions now appear to be behind him. He is another well-liked player, and although he has the memory of his Masters blowout to deal with, he is someone who knows how to play this course and could be involved. Will it be McIlroy or Woods writing the headlines this week? Or will someone else jump to the fore and create a piece of history at the most famous venue in golf? Of the favourites at the head of the betting, Jordan Spieth is the one who has shown fantastic course form before, and he looks to have a great chance of going close again this year. Spieth led from start to finish in 2015 and has flanked that with 2nd place finishes either side, giving him a great course record. If you are looking for a player who plays Augusta very well, knows when to attack and when to be conservative then Spieth is the one for you, he looks to be in with a great chance. Justin Rose is another player who has very good course form and needs to be considered. He has recorded a 2nd place finish twice in the last three years and arrives here in great form this year. After winning the HSBC Champions event, Rose has since posted a top-five finish at both the Arnold Palmer Invitational and the Valspar Championship, showing he is hitting the ball well this year. Just behind the front-runners in the betting, Rose could be the value towards the head of the market. Looking further down the list of players and Jon Rahm is someone who stands out. He went into the Masters last season for the very first time and held his own over the first two days before dropping out of contention over the weekend. He will have learnt a lot from that experience and should arrive here with a lot more course knowledge. He has a win under his belt this season from the CareerBuilder Challenge and also finished 2nd in the Sentry Tournament of Champions. He has played four events this season and made the cut in every single one of them, he is certainly someone who will give you a run for your money if you side with him this week. Sergio Garcia edged out Justin Rose in a playoff last year to take his first green jacket and is back again for more this season. Although recording a second win would be unlikely for the Spaniard, he is one to consider based on his love of the course and great knowledge. He has won his title, so the pressure will be off Garcia, and that is often when we see him play at his very best so be sure to keep your eye on him and don’t discount last year’s winner. Where Can You Watch on TV? Coverage from Augusta is available to everyone, and there are many different ways you can watch across both the BBC and on Sky Sports. The opening two days, Thursday and Friday are covered exclusively on TV by Sky Sports. Coverage begins at 19:00 each day, and alongside main channel coverage on Sky Sports Golf, you will also be able to press the red button to view additional coverage of selected groups and live action from Amen Corner. Coverage is increased over the weekend, and this is when you can watch live on BBC if you wish. The action begins at 19:00 on Sky Sports, while the BBC Two program starts at 19:30. Both channels will show live action as well as offering coverage of selected groups behind the red button and what is happening around Amen Corner. The final day begins slightly earlier, with Sky Sports starting at 18:00 and BBC Two at 18:30. Additional coverage on this day begins at 17:30, allowing you to see players pass through Amen Corner early in the day before the big guns go out to try and win a green jacket. As you would expect, the Masters is an extremely competitive event, and every single player in the field is available at double-figure prices or better. This means that no matter who you fancy, you are going to get a great price for them. Jordan Spieth, Rory McIlroy, Dustin Johnson and Justin Thomas lead the way, and all four are available at a best price of 11/1. Behind the leaders come the likes of Justin Rose, Tiger Woods, Bubba Watson and Jason Day, who can all be backed between 14/1 and 18/1. Just like with any big event on any sport, you can also find many alternative ways to bet, instead of betting on who you think will win the tournament. First-round betting is always very popular, and this is who will lead after the first round, meaning you are just betting on one round of golf, not the full event. This is even more competitive, with the bookmakers going 18/1 the field, and the favourites for this market are the same as the regular market and have already been mentioned. Those looking at players who are further out in the betting may want to look at the top 10 betting market, where you back someone to finish in the top 10. Ian Poulter played brilliantly to win last week and booked his place in the Masters thanks to that. He is priced up at 11/2 to finish inside the top 10 this week and continue his good recent form. Both Adam Scott and Louis Oosthuizen has great form around Augusta, and if you are looking for value in the field, they may represent it in this market, with both of them being priced at 5/1 for a top 10 finish. Elsewhere, you will find many other betting markets available for the Masters, with both fun markets and serious ones out there. From backing who will be the top UK and Ireland player, to betting on a hole in one, there is something for everyone this week. Many bookmakers offer enhanced each way betting on the Masters, so be sure to shop around and get the best deal available to you. The standout each way offer this year is from Coral, who are paying 10 places at 1/5 odds. This is better than anywhere else right now and is the place to be if you want to place an each way bet on the tournament. Bey365, Betfair, Paddy Power, Betway and 10Bet are all offering EW on the first eight players home, so these are also worth checking out, and better than the industry standard. If you are looking for a consolation type offer on the Masters then Paddy Power have one on, based on the former champion Tiger Woods. If Tiger Woods wins the Masters then they will refund all outright bets placed before the tournament as a free bet to a maximum of £10. Tiger showed signs of coming back to form recently, so you may want to take advantage of this offer just in case he bounces back this weekend. If you want a consolation for coming close but just missing out, then the BoyleSports offer could be for you. They are offering money back as a free bet if you place a win bet on the Masters and your player finishes 2nd or 3rd. They are offering a free bet of up to £20 and this will make you feel slightly better after coming so close to victory when you bet with them.